Black Flag is coming back. I don't know what I'm doing about membership, but if you want to learn or play alongside me, send an application. I'll be pruning inactives shortly. Hammer and Shield will be returning. We would like to see more Role Play. When that role play goes further than just words, it is meaningful. I would like to see attitudes and things drive actions, rather than just predictable spreadsheet behavior. Hammer and Shield are first and foremost capitalists. We love to make a profit. To do that, we seek to disrupt other suppliers that threaten our monopolies. As capitalists, we recognize that wars create a disruption in supply. At its core, we do not care who is purchasing, so that we maintain a market control on the prices, and consistently can over deliver on our competitors. Our diplomacy would drive to make sure there is not too much peace, while also not fighting too much as to distract from our profiteering and commerce. Another (classic good) type might move an act to protect Kingdoms or new players from aggression. Perhaps they may also seek to act as mediators between territorial disputes. Perhaps they may act as abolitionists, freeing any slaves, purchasing and freeing off the market place, and fighting against those that sell slaves openly. 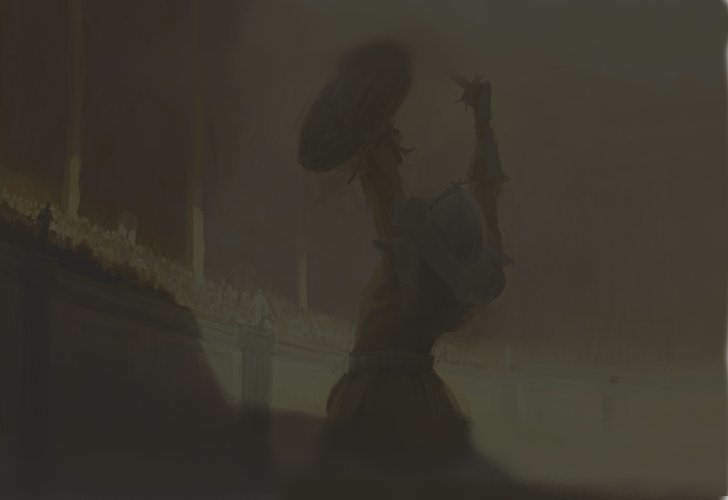 Perhaps yet another Kingdom may be composed of players that decide they will not permit a certain race within their ranks, and will attack every player of that particular race that they come across. There are so many different ways to do this. It would create characters that play into an actual role that drives interaction and creates a better experience. If other Kingdoms would be willing to adopt a set of 'rules' that define their character behaviours in a somewhat predictable behavior, but in a way that leaves room for chaos. I don't think any player-guided 'themes' would work anymore. Folks are just too indifferent and lack enthusiasm anymore. We'll just play it vanilla on this world. Seriously though, Black Flag wants to be small (<5 players) and active (like me). We (I) really want to show new players how to take advantage of inactivity. If you are willing to help out a KD of half new players, Hammer and Shield would have you as well. We've got 6 players, it seems this era. If Meskis Samogitian of the former Samogitians clan is here, he is a fun and reliable player. We welcome him to the realm. Hammer and Shield has 6 members on the map so far. You hadn't dropped in yet! The line up so far. Lots of smaller Kingdoms, it looks like. Are HnS and Ritz the only larger Kingdoms? We have 6. Does KoH, Black Flag, Lost Souls, or Ritz have more than a few? We are up to 8 Active Members, though one hasn't dropped a city yet. Thank You, Mr. Bigfield, it's me. I can not find more alive samogitians in utopia so decided to give more open name for kingdom - Ideal Society. Visual Utopia: once tasted can not stop, so I find some time to return for a couple fights. The fruits of VU are addicting. I have only been playing a few months but must say I'm addicted. Hard to find a good browser game that's fun and has a good community. poor new people in 10 years they will regret even hearing about vu :(. Lol, have fun and keep playing. Theres nothing better than vu. Ive played 12 years ago? Took many years off. It's funny, i always find myself coming back to the game and started probably about 10 years ago as well. I have no regrets about playing this game is not such a major time subj that i feel like i could've gotten a master's degree instead like other mmo and it's slow crawling pace make for believe it or not, edge of the seat excitement and anticipation lol. Love vu. Our understanding so far: Hammer and Shield is operating as a Hegemon with no threats nearby. The Old Ones are operating as a protectorate, as are Wall of Fire. We are considering the conflict a "West vs the Rest". If that were the true case, it would put West at 100+29+7=136 power against 3+6+11+42+47+72= 181. I'm going to assume that there is not a solid axis against us. I believe LS and KoH have a peace of sorts. I think after this Era, we will adopt a policy of automatic hostility to any Kingdom listed with more than 4 members, and extend a default friendly status to smaller Kingdoms, to promote growth. It's a policy that I am personally tossing around, because I dislike going after some of the smaller ones and I believe more Kingdoms is better for the game. It's going to be interesting how this turns out. Talk about thumb luck. Accidental attack at 3% when trying to scroll! At least my 178 million gold army killed 387 troops. I'm terribly sorry Mr. Bigfield The Executive. But we have lost the battle. We killed or injured a total of 387 enemy troops. Nahh. You would have made me have 20 to 40 xp with about 15k left. Then i would have really had fun. Oh well. Pony spam till end era. Hammer and shield accepta that defeat is an eventuality and concedes defeat. We would rather it end soonet than later as there iant really a way for us to continue. does that mean your teleporting of all my new stuff will stop? If arma got casted wed foght it out. We are pretty much bored. think it will get cast soon mate.